إذا كنت تبحث عن فندق بموقع جيد في بورت فايرى، فقد وجدت ضالتك في Codrington Gardens Bed & Breakfast . يمكن من هنا للضيوف الاستمتاع بسهولة الوصول إلى كل ما تقدمه هذه المدينة النابضة بالحياة. يوفر الفندق بفضل موقعة الجيد وصولاً سهلاً إلى أهم معالم المدينة.
. إن الخدمات التي يقدمها Codrington Gardens Bed & Breakfast تضمن للنزلاء إقامة مريحة. تتضمن الميزات الرئيسية في هذا الفندق: خدمة الغرف على مدار الساعة, تسجيل وصول/خروج سريع, تخزين الأمتعة, واي فاي في المناطق العامة, صف السيارات. استمتع بوسائل الراحة الراقية في الغرف أثناء إقامتك هنا. بعض الغرف تتضمن غرف لغير المدخنين, مكيف هواء, تدفئة, مكتب, ميني بار لمساعدتك على استعادة طاقتك بعد يوم طويل. كما أن مجموعة الخدمات الواسعة الموجودة في الفندق لضمان راحتك تترك لك الكثير من الخيارات لقضاء وقتك أثناء فترة إقامتك. مهما كانت دواعي سفرك فإن Codrington Gardens Bed & Breakfast هو خيار ممتاز لإقامتك في بورت فايرى. 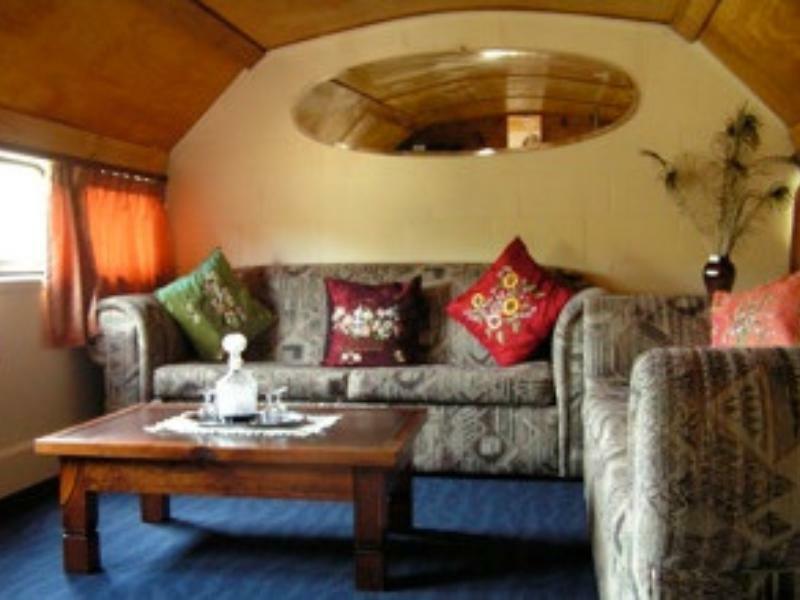 Loved this quirky railway carriage accommodation. If you’re looking for something a little different, this is for you. Lovely quiet location. Woke up to te horses outside the window and looking at the wind farm ( the first in Australia). Lovely ambiance. Awesome place. Don't expect a "normal" B&B (the Breakfast bit is optional; not included). This is a great place to see some quirky train carriages and animals, and immerse yourself in a different overnight stay. About 20 minutes outside of Port Fairy, easy to find. We stayed there one night over Australia day holiday. Its a nice place and Jeoff was very helpful and friendly. Few animals around and good place for photography. Very close to wind farm and has a nice garden. Make sure you talk to the goddamn cockatoo!! Super excited to stay in this lovely quaint train carriage and it did not disappoint. You must really like animals and farm life to enjoy your stay at the place. It's really more for the novelty of the experience than anything else. My partner and I had a rare weekend off from working and decided to hit the road around the coast and we were drawn to the idea of staying in old train carriages. I read the reviews most were positive, some weren't. I take it all in stride when booking and I accept that everyone has varying needs when traveling. We arrived at 615pm to an unnatended office and knocked on the door. A woman answered and barely said a word. Walked us towards the carriage, pointed and walked off. She gave us no information regarding breakfast, no information regarding anything for that matter. She just walked off. We got through the cobwebs, carefully removed a couple of huntsmen spiders then went to town for dinner. In the morning we awoke and there was still nothing in regards to breakfast, so we left without a word from the venue. Needless to say, we are very disappointed in this lack of service. It was downright rude. Save your money and go elsewhere. Apparently it's a Bed & Breakfast. Nope. Just bed. It is definitely unique experience to live in a historical carriage. it is a peaceful, safe and amazing place with beautiful countryside scenery and lovely animals. The owner couples are very nice, room is comfortable and clean. worthy and amazing staying. The carriage we had was comfy and spacious. Good value for money. The historic train carriages were gorgeous and the gardens were lovely. As we came in we saw a koala family, alpacas and a cheeky cockie. The owner was a lovely gentleman who was very accommodating and helpful. Stayed in 6 different hotels during my trip. This is the cheapest, yet the best! Great concept. Rooms are all train carriages. We have animals roaming around freely outside your carriage. Enjoy the view of sky full of stars at night. Despite the concept, rooms are clean. Did not see any insect. Breakfast was great! Simple English breakfast - this is also the best breakfast I had during my trip. Will definitely return to this. Very comfortable stay and train carriage accommodation was a drawcard for us. Reasonably priced, 15 minutes from Port Fairy. Geoff was a good host. Quiet & peaceful location. Dinner menu over priced for quantity & quality. Gardens neglected and not stated as per brochure. Train carriage accommodation good but not suited to hot summer days. Would be best suited to spring/autumn travellers. Male owner very nice and attentive but always seemed hurried during meal times. The cottage was good, the quietness and the roaming peacocks. 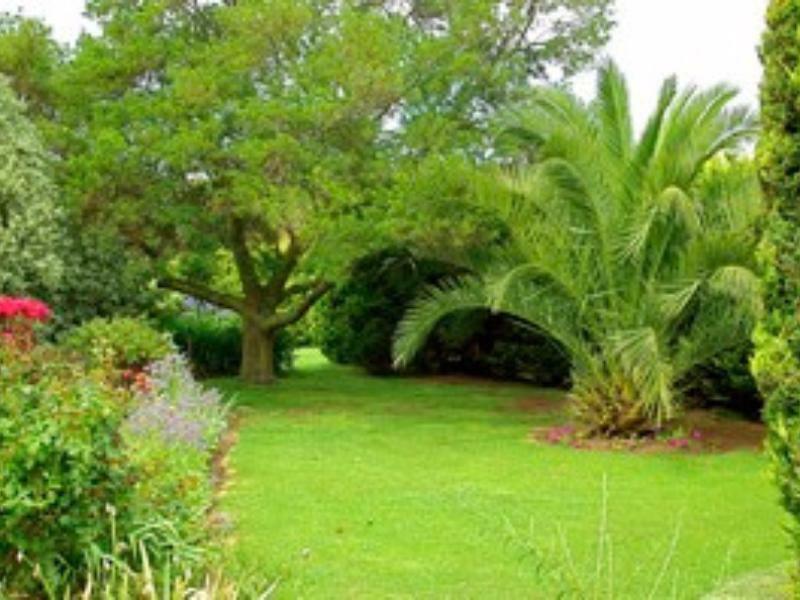 The Codrington Gardens B&B is about 25 kms outside Port Fairy and is totally isolated from everywhere. The are no shops or eateries close by. It needs to be more clearly explained what type of accommodation and location is being offered. Go fully stocked as if camping! Loved the placed. Was pleasantly surprised to find animals on site alpacas and ponies were behind fences and many peacocks free roaming around. Had a cute cockatoo and numerous other birds around too. Very friendly staff as well. Had a mix up with agoda in terms of booking and he sorted it all out for us. That was a life saver, otherwise we would of had no where to stay. If you are expecting a fancy hotel, this is not it, but compared to when compared to a motel, this place is full of character and was truly a surprise. We loved it.